Various contaminants are introduced to waters discharged by domestic, commercial, and industrial users. 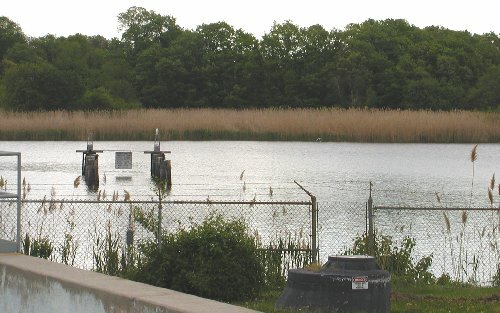 In order to minimize the effects of these on the water quality of the receiving waters, the Cohansey River, they are subjected to various forms of treatment. 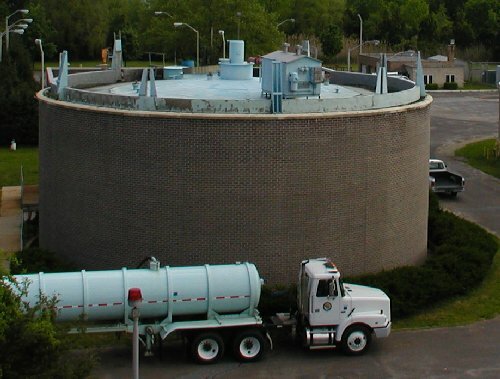 A wastewater collection system, utilizing both gravity flow and pump stations, transports the sewage to the Authority’s regional treatment plant. Here, a combination of physical, chemical, and biological processes are employed to eliminate the undesirable components contained within the wastewater. 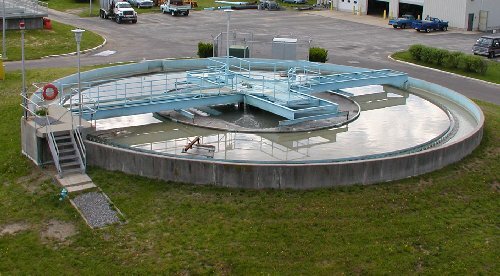 The treatment processes employed at the Cumberland County Utilities Authority’s Cohansey River Basin Facility include: preliminary treatment (screening, grit removal, and aeration), flow equalization, primary settling, secondary treatment (activated sludge and secondary settling), plus disinfection using sodium hypochlorite. Wastewater solids must be treated prior to disposal. Solids treatment generally refers to a reduction in sludge organic content. The four solids handling steps employed at the CCUA facility include: sludge thickening, solids concentration, solids digestion, and solids dewatering. 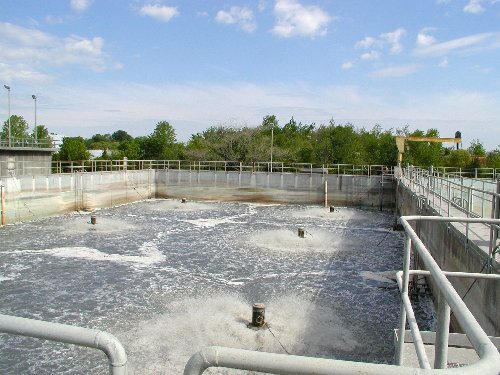 The preliminary treatment process removes large, dense, and often abrasive materials from the wastewater. This protects the treatment plant’s equipment and also allows more efficient sizing and operation of subsequent process units. The preliminary treatment process consists of screening, aerated grit removal, and flow equalization. Coarse screening is accomplished by an automatic bar screen which removes all materials sized larger than 3/4”. This would include sticks, plastics and larger inorganic materials. This screened debris is disposed at the CCIA sanitary landfill. Grit removal provides a substantial reduction in the inorganic material (sand, stones, etc.) contained in the wastewater. Air is injected to separate the heavier inorganics from the lighter organics. This form of treatment removes the particles which will cause equipment wear. Grit removal also prevents the introduction of inorganic material into processes where it would only tend to interfere with efficient operation. The equalization facility consists of an aerated storage basin which helps treatment by providing consistent wastewater flow and strength throughout the day. Primary treatment is a physical separation process which seeks to remove settleable and floating solids. The waste is introduced into a primary clarifier where sufficient time is provided for solids to either settle to the tank bottom or float to its surface. Both types of solid accumulations are mechanically collected and sent to the solids handling facilities for further treatment. Approximately 40% – 60% of the solids are removed in this stage of treatment. The secondary treatment process is designed to remove dissolved contaminants in the wastewater. 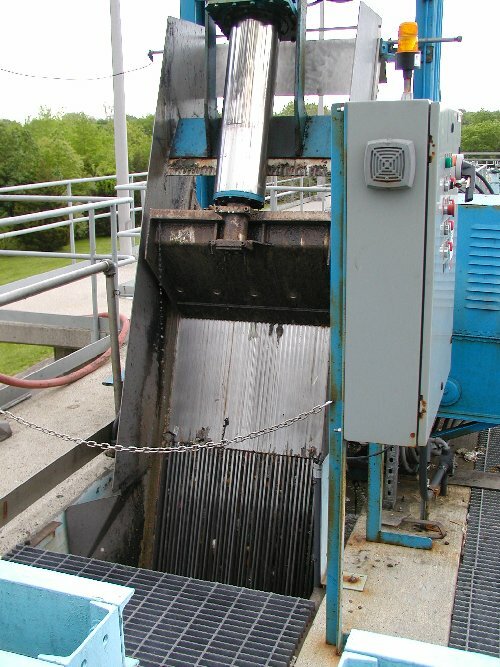 The secondary process is classified as a conventional activated sludge process with a selector. The process uses fine bubble diffusion for aeration. Dissolved wastes are biologically converted into settleable matter in the process. This settleable material is composed of living cells which are removed from the water by separation in the secondary clarifiers. These solids are mechanically collected and sent to the sludge handling system for additional treatment. Approximately 40% – 45% of the solids are removed in this stage. The overall plant efficiency is 90% to 95% removal. The liquid overflowing these tanks is essentially clean, stable, and ready for disinfection. The main purpose of the sodium hypochlorite system at the CCUA plant is the disinfection of secondary effluent. The process strives to eliminate the presence of pathogenic organisms from the plant effluent. The chlorine in the sodium hypochlorite acts as a disinfectant because of its toxicity to certain microorganisms at appropriate concentrations. After this disinfection process the effluent is dechlorinated using sodium bisulfite.This process protects the integrity of the receiving waters by removing chlorinated byproducts. Solids digestion is a biological process involving the anaerobic (absence of air) decomposition of the organic matter contained within the sludge. It uses several types of microorganisms to convert complex organic reactants to simple products of methane and carbon dioxide and thereby achieves waste stabilization. The process is conducted in a series of covered vessels called digesters, using varying degrees of heat and mixing to carry out the reactions. Waste material is successively stabilized in the primary digester and two stage secondary digester. Methane gas generated during this process is used as a primary fuel source for heating the buildings and sludge. Natural gas is used only as a backup fuel source. 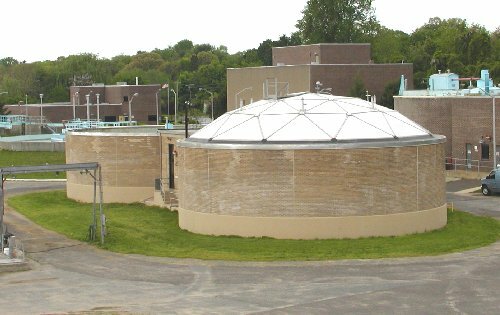 The solids disposal method used at the CCUA Facility is approved and permitted by the New Jersey Department of Environmental Protection (NJDEP). The method used includes the removal of thickened sludges after final digestion and transporting them to approved local farms. There the solids are introduced into the soil by sub-surface injection. The farm sites raise sod, nursery stock, and feed grains. 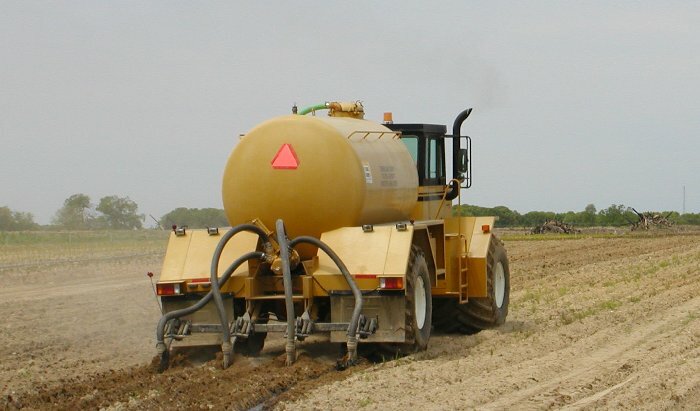 The solids are used as a soil conditioner with application rates based on the amount of nitrogen contained in the solids and the amount of nitrogen used by a particular crop. This process was recognized by the Environmental Protection Agency (EPA) in 1994 with a National First Place Award for the beneficial reuse of bio-solids. 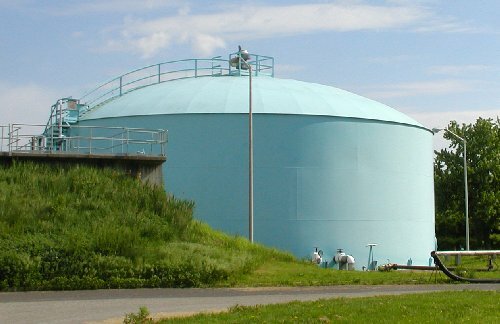 During the winter months when land application is not appropriate solids are withheld in the digesters and storage tank. The removal of excess solids is accomplished by the operation of gravity belt thickeners and centrifuges which use gravity and centrifugal action to separate the sludge and liquid components. The liquid is returned to the plant for additional treatment, while the solids are transported to another facility for incineration. This process continues until land is available in the spring for land application.